He's faltering in Iraq. He's out of favor with his own party. He's increasingly isolated. 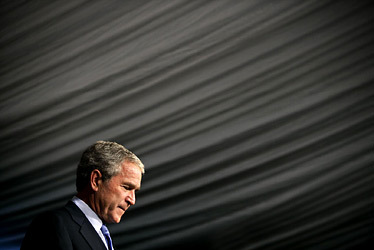 Why this U.S. election is all about George W.Bush and the world he's created. Post/ABC News Poll, 31% of those surveyed said they will use their congressional votes to register their opposition to Bush. By comparison, only 17% said they plan to use their vote to show support for Bush.